The Ombudsman’s Office has completed a two-day training for staff on the UN Convention on the Rights of the Child (C.R.C). 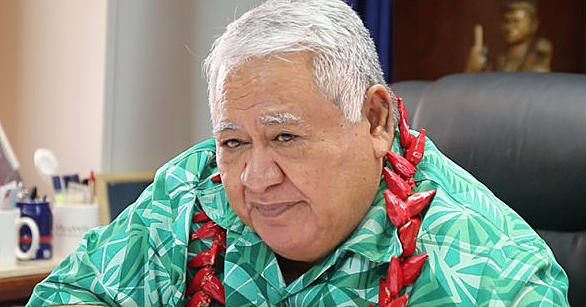 The Government of Samoa ratified the C.R.C. on 29 November 1994, thereby committing to protecting and promoting the rights of all children in Samoa. As the National Human Rights Institution Samoa (N.H.R.I. ), the office works to advance the realization of human rights by promoting and monitoring the implementation of various Conventions including C.R.C. The training was facilitated by Talei Cama of U.N.I.C.E.F. Pacific. She was assisted by Tupepepa Esera-Aumua, U.N.I.C.E.F. representative in Samoa and Tracey Mikaele of the Ombudsman Office. The Office greatly acknowledges the support and assistance provided by U.N.I.C.E.F. Pacific and the Asia Pacific Forum. More so the tremendous benefit in having a member of the UN Committee on C.R.C. in person Justice Vui Nelson, who participated through interactive dialogues with the staff on issues relating to substantive articles of C.R.C. and also through sharing his experiences as a member of the Committee. The Office also thanks our partners at the Ministry of Women, Community, and Social Development for sparing their time and sharing expertise with the training. “This was badly needed training for an Office that was required to function in a totally new specialized area which is human rights without prior experience or knowledge,” says Ombudsman Maiava Iulai Toma. The Office acknowledges the challenges to promoting the rights of children in Samoa due to deeply rooted beliefs across Samoa, particularly with regard to child rights to express views and the disciplining of children. Therefore, the Office recognized the need for its staff to be equipped with thorough knowledge of the Convention in order to better respond to concerns raised by the public relating to C.R.C. Furthermore, the Office desired to better understand the C.R.C. 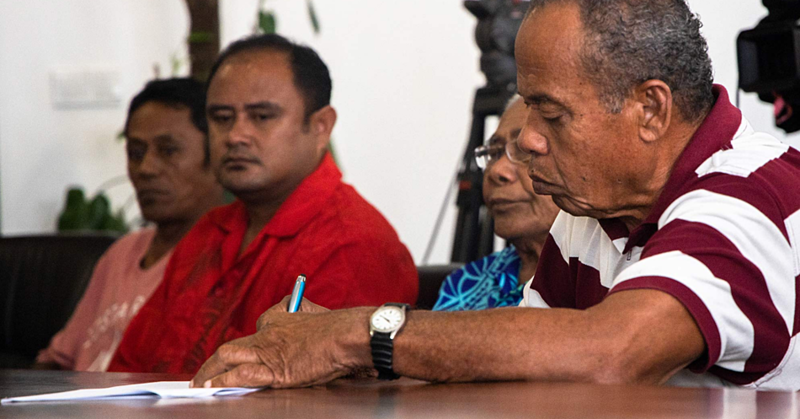 reporting process to strengthen its role as an independent monitoring body to ensure the implementation of the Committee’s recommendations to Government are being action, and to inform and develop effective initiatives to promote the rights of children in Samoa. “It was encouraging to understand that C.R.C. recognizes the primary role of the family in caring and protecting children with the contribution of the Government and various stakeholders towards the development of each child in reaching his or her full potential and I think this is really important to stress out to parents and members of the public who think otherwise,” Loukinikini Vili, Director of Human Rights. 1. To strengthen staff understanding and awareness of CRC, the Committee, reporting guideline and process relating to CRC. 3. To take stock of implementation of the CRC recommendations and plan for the way forward of how the Office can better promote and improve participation, protection, survival and development of children in Samoa. The C.R.C. 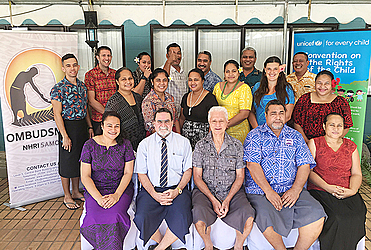 training culminated in ideas for future programming to support the promotion and protection of rights of children in Samoa in conjunction with local and international partners.